Our classes are designed to provide owners with a greater understanding of why dogs do what they do. This knowledge makes training fun and helps the handler and dog connect in a very special way. Our goal is to make training fun while learning! For a list of recommended training aids, toys, and such, check out our Amazon Affiliate page! Puppy 1– for new puppies from 8 weeks up to 5 months of age. Beyond Basics – The focus is on refining obedience skills taught in the Puppy or Basic Obedience class. Puppy Socialization – This single session class will give the opportunity to work on developing your pups social skills in a structured environment. 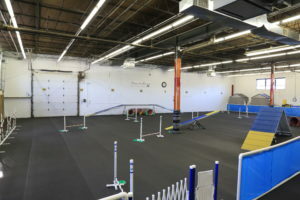 Agility Kickstart – If you’re new to agility or want to brush up on basic skills!! Intermediate – If you are considering or just starting to compete. Advanced – If you are competing at higher levels in any venue. If you choose to cancel your registration for a class, workshop, seminar, trial or special event, you must notify us in writing (e-mail, fax, letter). Cancellations received before 30 days of the first day of the event will receive a refund of 100% of the registration fee. Cancellations received after 30 days but before 15 days prior to the start of the event will receive a refund of 50% of the registration fee. No refunds will be issued for cancellations received 15 days or less before the first day of the event. This policy is without exception.